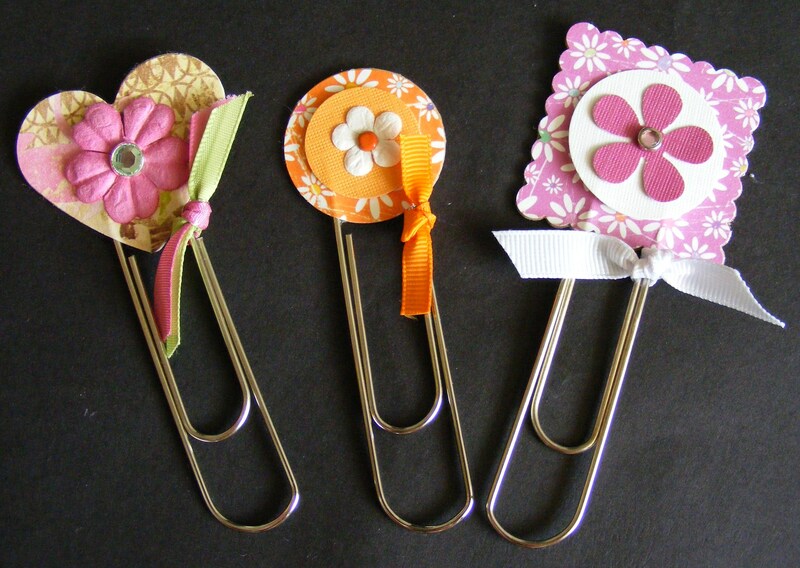 I made these cute little book marks today using jumbo (3-1/2 inches long) paper clips. I purchased the clips from Wal-mart in the office supply section. This is a very easy project. I used various punches. I punched my shape once in light weight chipboard and twice in decorative cardstock. I used glue stick to adhere one decorative cardstock to the chipboard. Then I attached my embellishments (paper flowers and pastel princess brads) to the other piece of cardstock before adhering it to the chipboard. I used rubber cement to attach the two sides together with the paperclip in between. Rubber cement now comes acid free, which I love for this type of project because of its quick “tackiness” and fast drying. Other glues didn’t hold well around the paper clip or I had to hold the piece for forever waiting for the glue to set. All supplies (except paper clips) from The Angel Company. This entry was posted in Bookmarks, Rubber Stamped Items and tagged Book Marks, paper clips, Paper Crafts, scrapbook, The Angel Company. Bookmark the permalink. Thank you so much. Are you a book mark collector? A collector…no. I’ve cross stitched a few bookmarks…and made one or two from patterned paper and chipboard. 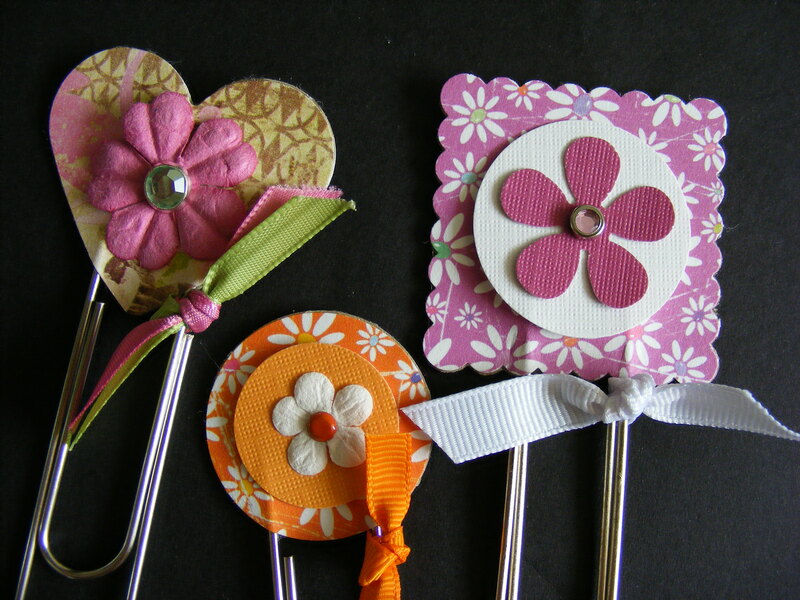 These are so cute….I smile when I see them 🙂 I may have to lift your idea and make a few myself. Thanks for sharing. i love this book markers. they’re really cute. i set a link to your post at my blog. if not, please leave a message. I used your picture just as a bookmark picture and had so much response, I thought I would share the response with you, next time I will have to post your link. 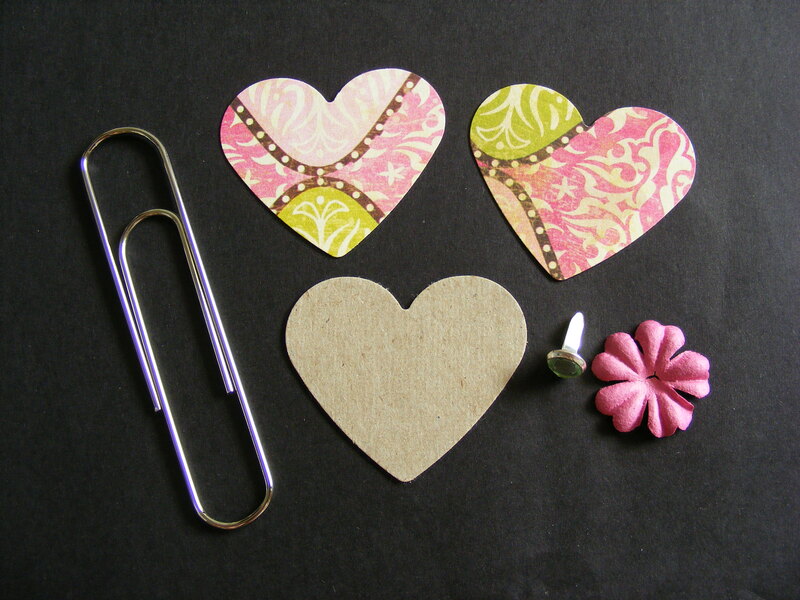 These are adorable and just what I need to use with my wedding promo packages. Do you sell them somewhere? Or are you willing to sell them? I could use 20-30 of them.